Recognized as a retail, restaurant and entertainment hub, Mesquite is a large suburb located 12 miles from Dallas, just east of I-635. Mesquite has drawn numerous companies thanks to its location and growth. Some of the companies who have opened offices in the city include Georgia Pacific, Unilever, Benjamin Moore Paints and A.H. Corporation. Additionally, UPS and Eastfield College are two of the area's largest employers. UPS is just one of the companies housed in the Skyline Industrial Park, a conglomeration of offices and workspace spread out over 300 acres. Mesquite is known for its knack for retail, starting with Big Town Mall, which was the first enclosed mall in Texas. Today, Town East Mall is another huge contributor to the retail market, with 3.5 million square feet of space and more than 200 stores. Mesquite is also well-known for its community involvement and emphasis on preserving its land. The city has been awarded the Governor's Community Achievement Award, the Texas Urban Forestry Award and the National League of Cities Award of Excellence. It has also been designated as a Tree City USA. Mesquite has the best kind of ambassadors, too: local ones. Residents who promote the city, heritage, culture and chamber of commerce are called "Mustangers." The city hosts several events that draw people from all over the Dallas area. The Mesquite Championship Rodeo is held on weekends from April to September, keeping rodeo fans happy throughout the summer. In the winter (and throughout the year), they can enjoy the Rodeo City Music Hall. Other popular attractions include Devil's Bowl Speedway, the Mesquite Arts Center and the Florence Ranch Homestead. If you're looking for houses for rent in Mesquite, there are multiple great neighborhoods to choose from. 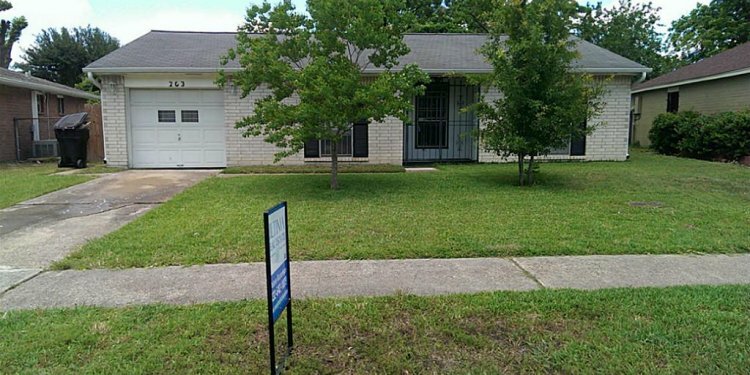 You may look for Mesquite rental homes between Galloway Avenue and Kearney Street. If you prefer homes for rent in Mesquite farther outside the city, you may want to look between Barnes Bridge Road and Belt Line Road. Other popular neighborhoods for Mesquite rental houses are Enclave at Ash Creek, Casa Linda Forest and Wynchase Crossing.